Johnson Fork to L on School Rd to R on Mueller at T to L on English Hill. Home on left. 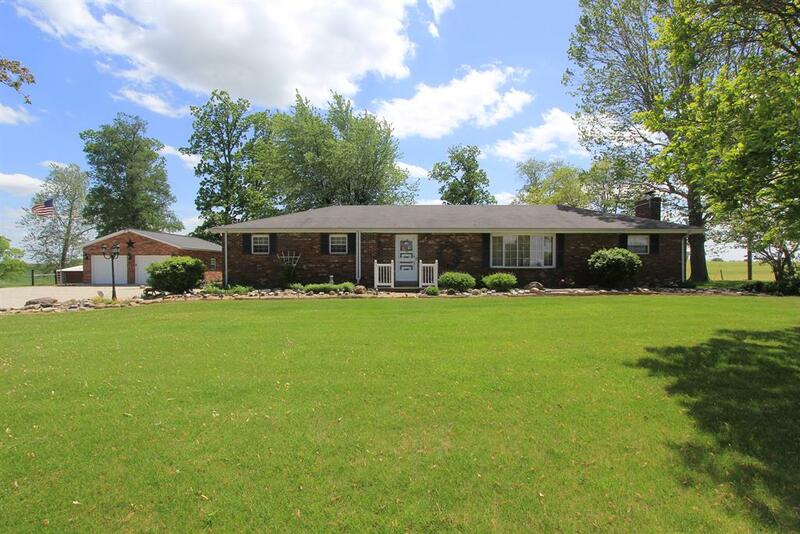 Custom built brick ranch on 9.64 acres. full bsmt is partially finished, 1/2 ac pond, 2 car att garage plus a 24x30 detached garage. Has a 13x18 all season room overlooking stocked pond. Level to rolling. Many choices for your use of the ground.